EDINBURG — It needed a couple seasons, but UTRGV coach Lew Hill finally has a roster full of his own players tailor-made to run his up-tempo style. 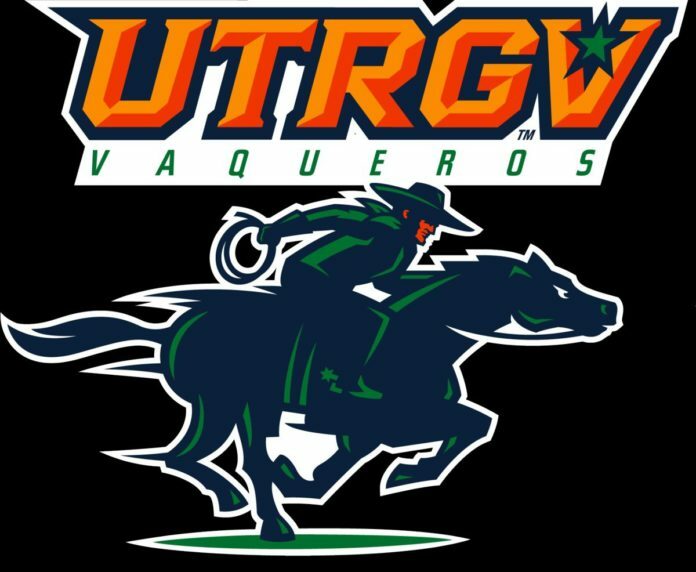 UTRGV pushed the pace late in the first half in Tuesday’s opener against Division II Texas A&M-Commerce. The Vaqueros seemed to be rolling toward a blowout victory after building a 57-38 lead under four minutes into the second half, but the Lions were on the comeback trail. The Lions pulled within one point of UTRGV at 67-66, seven minutes and nine seconds after the Vaqueros opened up their biggest lead of the game. UTRGV traded baskets with Texas A&M-Commerce, but never trailed in the second half. UTRGV went on to win its opener 91-84 at UTRGV Fieldhouse. The Vaqueros won with balanced scoring, led by sophomore guard Greg Bowie’s 19 points. Bowie’s previous career-high was 18 points which came in UTRGV’s 79-76 overtime loss to Seattle U last season. UTRGV senior forward Terry Winn III, a preseason All-WAC second-team selection, was one of two players who provided an offensive spark in the midst of Texas A&M-Commerce’s comeback. Winn scored 15 of his 18 points in the second half. Junior forward Lesley Varner II chipped in 14 of his own during the final 20 minutes. Following two and a half years of announcements, arena construction delays and a postponement, UTRGV will host Oklahoma at the brand-new Bert Ogden Arena on Friday. The Sooners’ trip to the Valley means former Pan American University coach Lon Kruger returns to Edinburg as OU’s coach for the first time. Tipoff is set for 7:30 p.m.
Friday night will mark the second time a Lon Kruger-led program will make its way into the RGV. As the head coach at Illinois, Kruger brought the Fighting Illini into the former UTPA Fieldhouse during the 1998-99 season. The Sooners were picked to finish eighth in the Big 12 this season. Hill was an assistant on two of Kruger’s coaching staffs at UNLV (2004-11) and the Sooners (2011-16).